Art Crimes: Has your reason for writing changed at all? Kaws: That's a good question. Yes, it has changed a lot. The best example of this is that I used to paint to get fame in my city and now I paint to be seen world-wide. I also used to be satisfied very easily by being able to catch a tag and not get caught. Now I just try to think of ways to push the limits of exposure and risk. The most obvious way is to follow the major companies' way of reaching out to people and that is BILLBOARDS. The adrenaline rush alone makes the risk worth it. Art Crimes: What's writing like in New Jersey? Kaws: Writing in New Jersey is good. I don't have the exposure that I have painting in New York, but I am close to the things I like to paint, such as freights and billboards. I also have a lot of walls here in N.J. and if I want to go to New York it's only 15 minutes away. So it works out just fine. Art Crimes: Is graffiti HIP HOP? Art Crimes: Have you shown any of your work in galleries or museums? Do you have anything to say about that sort of thing? Kaws: I have shown a little bit, but not the work that the people reading this magazine know me for. I have shown my illustration work at Society of Illustrators and The New York Art Directors Club. As far as my opinion on galleries, I think they are a great thing .I see them as another outlet. I'm sure by now you've figured out that I do my work for everybody to see. That's the whole point. I would much rather have a piece sitting in a gallery, out on a wall or riding by on a freight than sitting in my studio where only I and a few other people can see it. Art Crimes: What do you think of the freight movement? 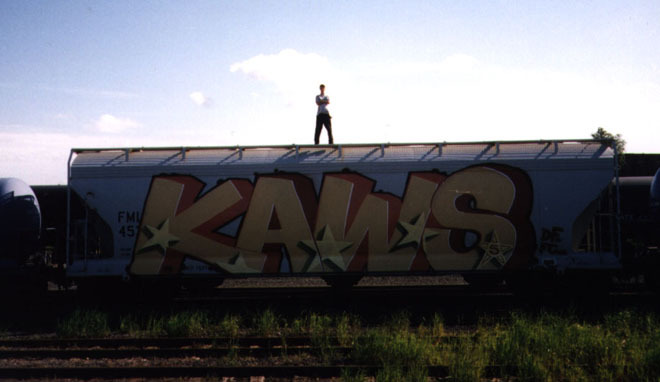 Kaws: Freights are good. They let your work travel all around the country. 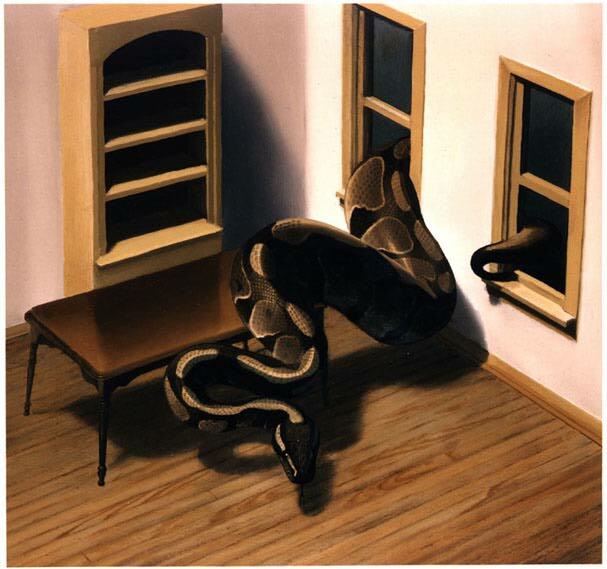 People can see the actual art rather than a picture in a magazine or a jpeg on the internet. To see the original artwork is a totally different experience than a picture because only in the original can you appreciate the scale and color of the work.